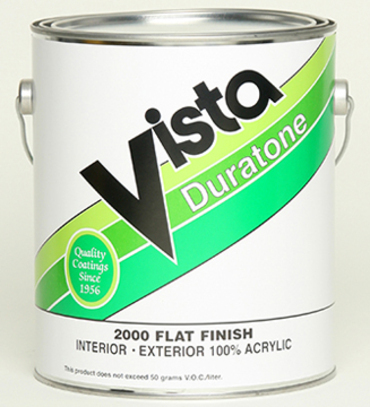 Duratone is a premium plus 100% acrylic matte flat finish for exterior use. This product provides a tough flexible film with outstanding resistance to fading, chalking, alkali burnout & surfactant leaching. Duratone exhibits excellent color retention, hide, adhesion & superior mildew resistance. Recommended Uses: Properly primed wood, stucco, concrete, masonry and properly primed metal.